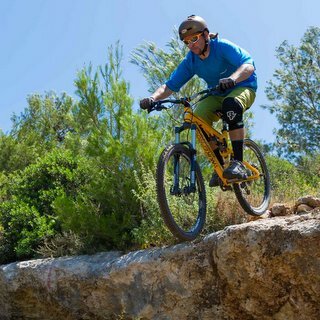 Sababike exists to help people enjoy mountain biking, and to promote this wonderful sport in Israel and abroad. We are passionate riders who believe that enjoyment and personal fulfillment come not only from rising to the physical and mental challenges that the mountain bike presents us with, but also from the camaraderie and and the shared experiences it grants us. Few enterprises truly transcend borders of countries and men, but we know mountain biking is one of them. Whether we host you on a week long riding holiday or meet up briefly for a skills session, we bring this passion to every encounter – to provide you with the riding experience you deserve, the Sababike way. Join the fun! Born in Sweden, former resident of California, Ireland, and France, Johan has called Israel home for the past 8 years. 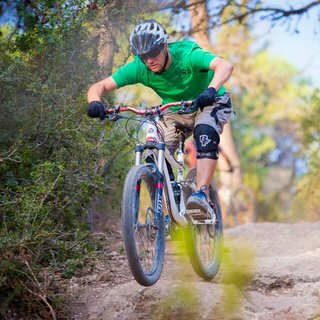 Johan is an experienced mountain bike rider with a special place in his heart for gravity riding. Also a skilled trail builder and professional outdoors photographer and mountain bike journalist, Johan’s online ramblings can be found at VitalMTB.com. if you visit us more than twice, rarely will you find him on the same bike, as riding for Johan is a way of experimenting and discovering, mostly new ways to have a blast on the trail! (Fluent in English, Swedish, French and his Hebrew is coming along). Born and raised in Israel, Tal has been keen on anything outdoors since forever – his hobbies included orienteering, scuba diving and offroad driving. All until mountain bikes took its rightful place about 12 years ago. Since then, Tal has turned mountain biking from a past time activity into his profession. One of Israel’s leading technical skills coaches, and a mountain biking tour guide in Israel, Bulgaria and Romania, Tal has a knack for bringing out the best in other riders and having a great time while doing it. (Fluent in English and Hebrew).